Ethanol is a clean burning fuel source which Frontier Tank Lines proudly offers to our customers in our Service Area. Less harmful to the environment, Ethanol reduces harmful tailpipe emissions of carbon monoxide and other ozone-forming pollutants, according to the American Coalition for Ethanol. In the US, ethanol fuel production is based largely on corn. There are over 131 grain ethanol bio-refineries in the United States capable of producing 7.0 billion US gallons of ethanol annually, according to a survey conducted by the Renewable Fuels Association on October 30, 2007. Some believe that a significant portion of the 150 billion gallon US gasoline market will eventually be replace by ethanol. Ethanol is a viable, alternative fuel source we are proud to offer, along with our transportation & management services: Emergency Fuel Service, Fleet Fueling, Inventory Management, Tanks, Transportation, and 24Hr On Call Dispatch Teams. 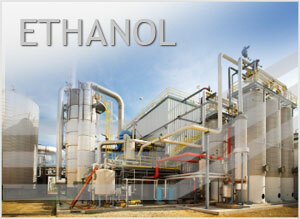 For more information on Ethanol or our services, call us today at (800) 291-7876.